On my website, I advocate a three step approach to successfully manage environmental issues. I advocate defining success ahead of negotiations; letting the facts determine strategy; and myopically focusing on outcome rather than on personalities or other distractions. As I prepared this post, the shutdown of the federal government had just ended and many commentators, such as Jack Welch, former CEO of General Electric, argued that the stalemate in Washington is because our political leaders are just plain bad negotiators. I disagree. 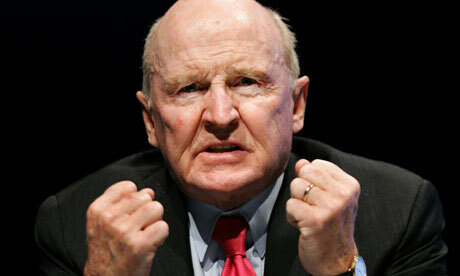 The fact is that Jack Welch, as good a CEO as he was, doesn’t understand that commercial and political negotiations are two different creatures. Commercial negotiations typically involve a “willing buyer” and a “willing seller.” The parties have varying degrees of commitment to “doing the deal” and varying leverage in the negotiations. The party that is most committed (or most desperate) to do the deal is going to be willing to give up more. Economic considerations, and leverage, will normally dictate the outcome. In the end, if a deal is done, it will typically be economically rational and will represent a win-win situation. Economic rationality, however, is not a factor in political negotiations. Leverage is important, but whether there will be an agreement depends on political, not economic, considerations. In the days when compromise was not a dirty word, I negotiated thirty some laws with environmental groups, Native American communities, state agencies, federal agencies and local governments. In all of these negotiations, there was a commitment that there was going to be legislation; the question was what was going to be in it. Everyone came away a winner. The negotiations we are seeing in Washington are, what one legislator told me many years ago, a “horse of a different feather.” Partisanship trumps compromise; absolute power replaces the nuances of leverage or the concept of public good. The goal is not a mutually acceptable agreement—the goal it is to impose one side’s will on the other or to prevent any action at all. Rather than win-win negotiations, we are in an era of win-lose negotiations. It is not enough for one side to win; the other side has to also lose. That’s not bad negotiating–it’s political strategy, something that substitutes for leadership these days. Environmental negotiations, more or less, split the difference between commercial and political negotiations. They do not take place on a level playing field because the government (whether a regulatory agency or a prosecutor) has greater leverage. A member of the “regulated community,” however, is not without any leverage. In the case of an enforcement matter, the prosecutor generally doesn’t want to try the case; rather, the prosecutor wants two things—an admission of wrong doing and a penalty. The key is to negotiate those two points. The negotiation about a permit is, in my opinion, about clarity. The agency wants to be able to enforce the permit against you and will typically want to include broad and vague terms; I have always felt that a regulated party’s best interest is served by clear, narrow terms. Professionals can argue about this strategy, but I stand by my belief and have always negotiated for clear, narrow terms. A permittee needs to know what constitutes “compliance.” The key to a successful outcome is treating the other side with respect and following my three step approach of “defining success” before negotiations begin, dispassionately determining strategy based on the facts of each unique case and focusing myopically on outcome. Arthur Wellesley, better known as the Duke of Wellington, was Prime Minister of England twice. He fought many military and political battles. All that experience led him to conclude that: “When one is strongly intent on an object, common sense will usually direct one to the right means.” Bingo. Let the facts dictate strategy and focus on outcome. Takeaways: Political negotiations should not be confused with commercial negotiations; or, for that matter, with negotiations over an enforcement matter or an environmental permit. Getting an acceptable result with a prosecutor or a regulator depends on the use of common sense, planning and focus.